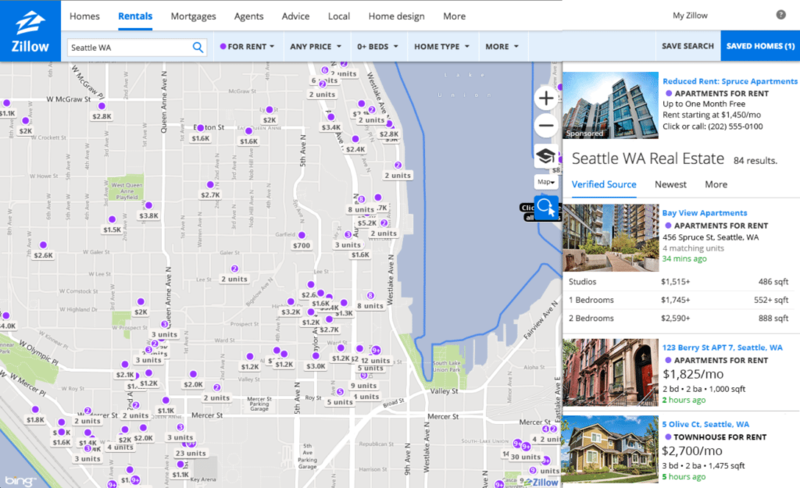 Almost exactly a year ago, Zillow launched its Zillow Rent Connect lead collection tool, which promised high-quality prospects and data to property management companies with more than 50 units. The technology helped to ensure that all incoming leads included the most important information, such as name, email address and phone number. Now the real estate mega company is launching Zillow Rent Connect: Boost, a digital advertising program that allows large multifamily developers and property managers to purchase advertising spots directly above renters’ search results on Zillow. The ads use location-specific targeting to appear above a renter’s search only after they’ve begun looking for a place within that area. Depending on what package a property manager buys, the ads can be targeted toward renters based on various levels, including by ZIP code, neighborhood or city level. Traffic is driven back to the property’s website through the ad. Zillow Rent Connect: Boost highlights the most noteworthy features of a unit through one of three new advertising products. Property management companies can also purchase a 30-second professional video of the property to give renters a virtual tour; an ad that highlights a specific floor plan or unit; or a static traffic ad about the property. Ads can also be targeted based on specific specials that property managers are running, such as a free month of rent. “The video ads are particularly engaging to renters,” said Greg Schwartz, Zillow Group’s chief revenue officer. Zillow handles production for the 30-second video ads.